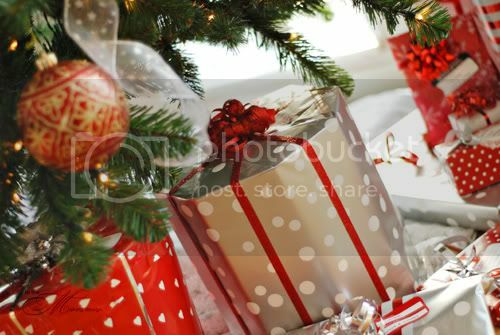 With Christmas just around the corner my photo this week is all about the holiday. I have been working on getting all our gifts wrapped every night this week. I am happy to say that I am almost finished with just a few small ones left to wrap. 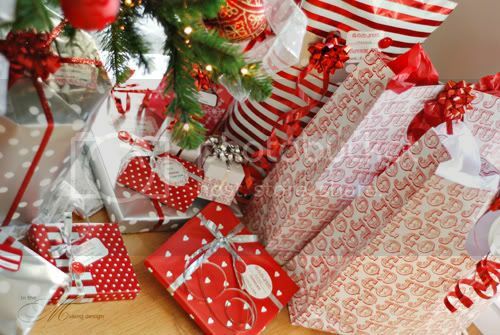 Here are some more photos of what is hiding under the tree, about a third of the lot. 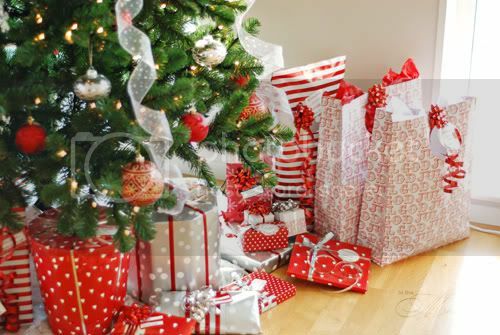 Your tree and presents look simply gorgeous! You have inspired me to 'theme' my wrapping - when I've done the shopping, that is. I've only recently found your blog so apologies if you've covered this question previously. Would love to know what camera/lenses you use. Your photos are so tack sharp! @karri, thank you so much!